Copper is everywhere at the moment. As much as I’m disappointed in myself to be following the crowd, it’s a trend that I love. I spotted this lamp on a recent Saturday morning jaunt to Dunelm, and I had to have it. It’s hitting two of my favourite styles in one, with the copper and also the minimalist industrial feel. Although the shade could be a little more opaque, the lamp was a bargain at £19.99. Dunelm is always really reasonably priced, making it hard not to fill up your basket! They had a floor version too, which we debated getting but decided the large shade would probably overwhelm our compact (estate agent speak for ‘small’) room. As it is I think it’s a really striking and affordable way to try out the copper trend. 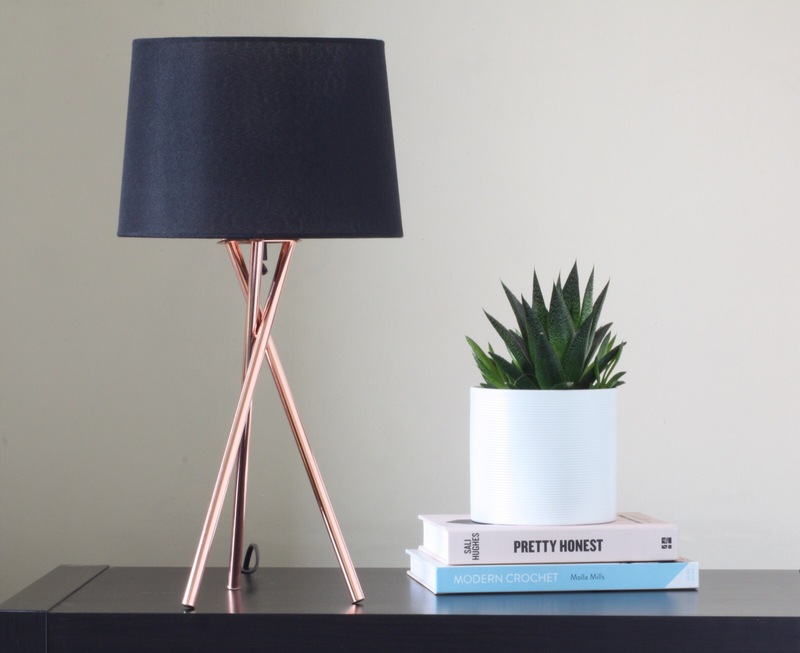 What do you think to copper home accessories? Are you one for following fashion, or going your own way? Like this post? You can follow Words by Nina on Bloglovin’. I was just flicking through the Dunelm catalogue when I saw your post! 🙂 I love copper; I was eyeing up their copper terrarium style lamp shade. They have so much in there, it would be easy to go a bit mad! Oh I love the copper trend but so far I have managed to resist. But I might cave soon. That lamp is stunning though and such a good price too! It was a bargain! I think cheap pieces are the way to go with trends like this.